These look fab on you! 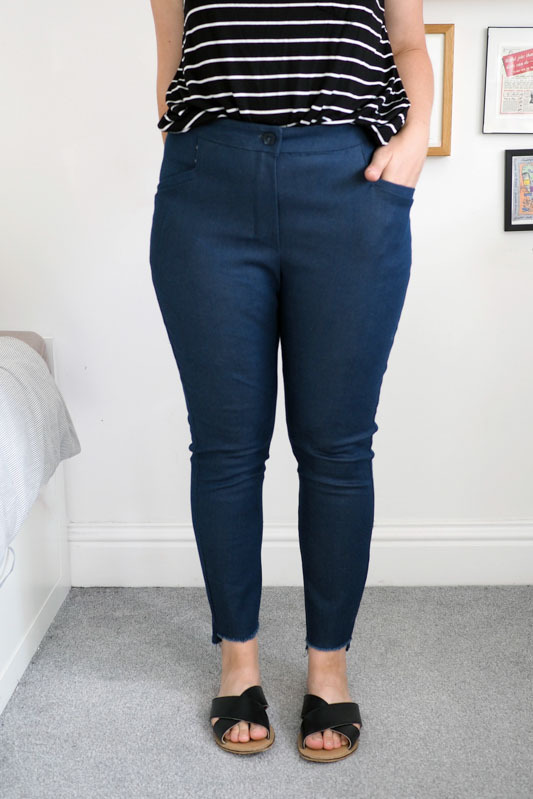 Really like these and some of the other review pairs and I think they’d suit my shape. Might just tip me into jeans making! Great tip about pocket bag fabric too. Thanks! That was a tip from another blog commenter, glad I remembered to try it out – works a treat. 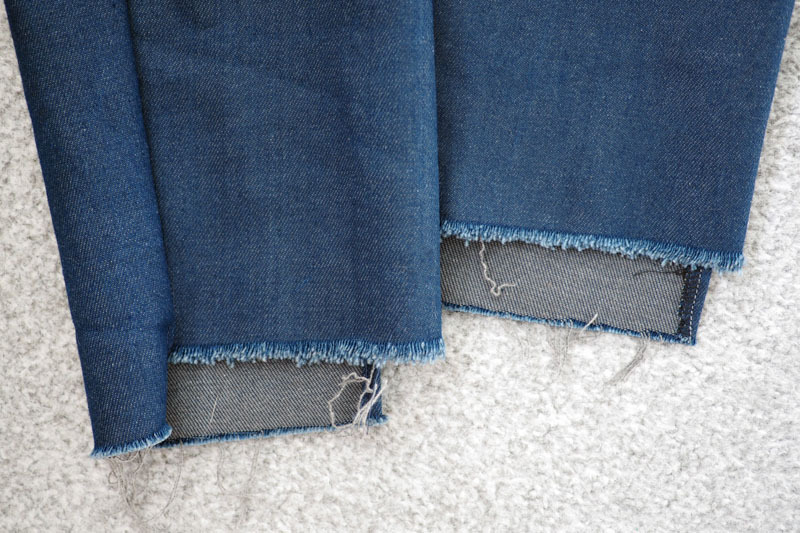 These look fabulous – I love the raw, staggered hem. It adds such a nice modern touch! I love these and found your review helpful…I’m actually (GASP!) 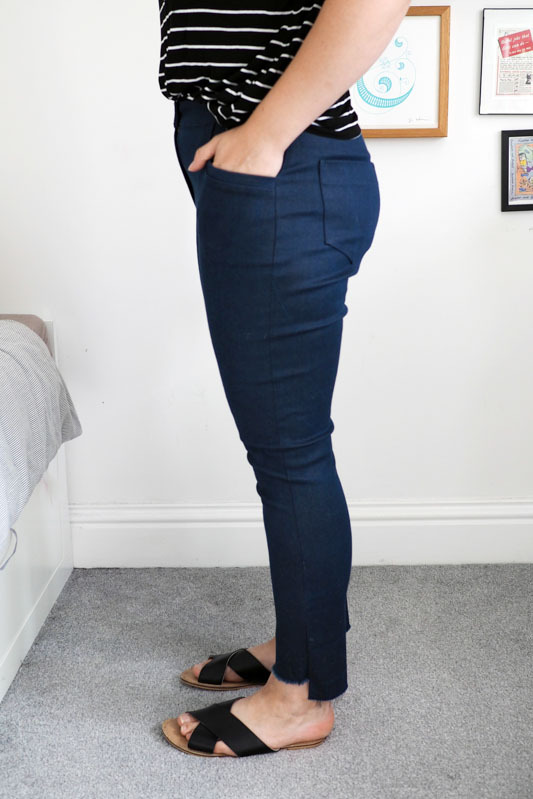 not overly interested in sewing jeans, but am VERY interested in a minimalist black cigarette trouser, and was wondering how these would do for an option. 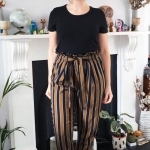 Super helpful review, and beautiful pants, as always! Oh it’s great to see a review of these as I really like the look of the pattern. 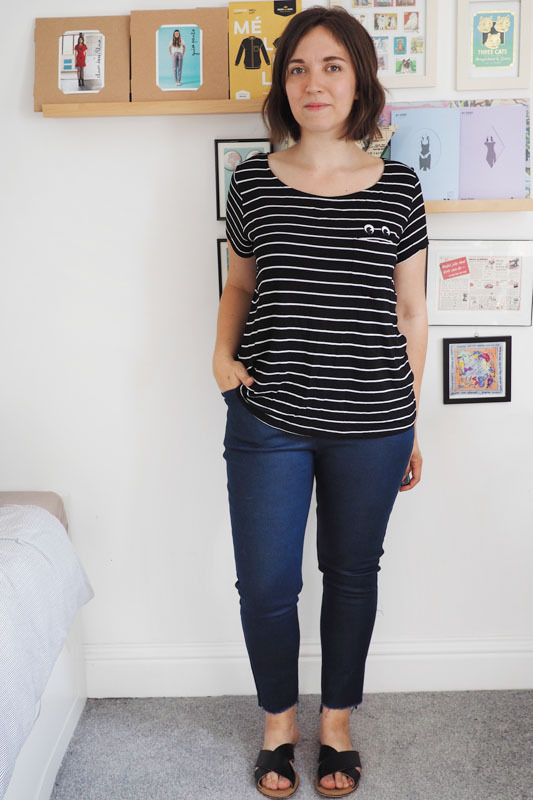 That said, I don’t really see these as jeans and your review confirmed it, they’re more lovely slim trousers. If I come across appropriate fabric with the 20% stretch I’ll dive in. But for the moment I think I’ll hold off. 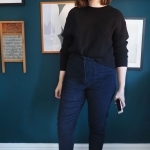 As it’s my first time commenting here I have to say that I really admire your sewing skills, you clearly are very talented and I’ve enjoyed reading your blog. 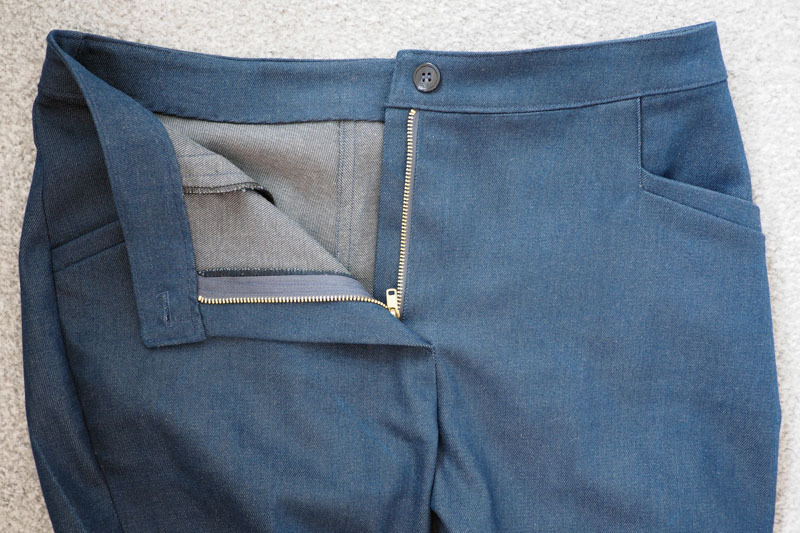 Yeah, you’re right, more just skinny pants really. Thanks very much! 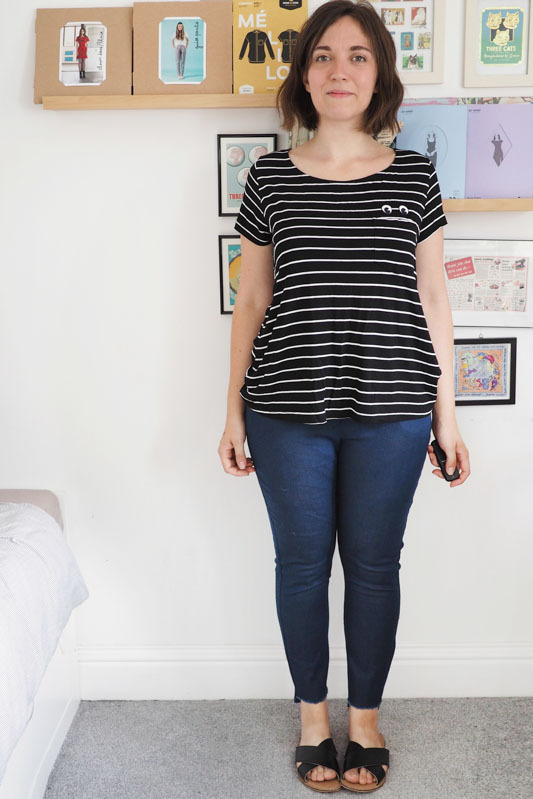 Love the idea of a simplified jeans pattern. 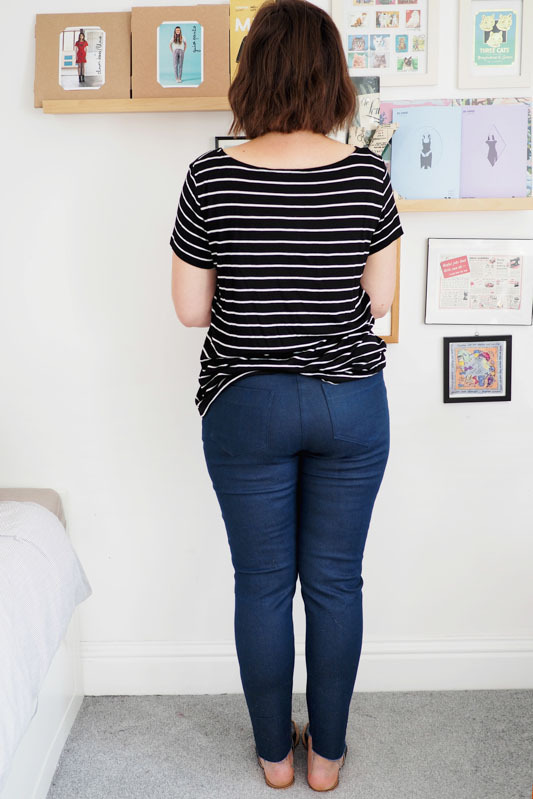 I have a couple of the very detailed jeans patterns that I’ve never even printed because they seem like such a big project. These seem like a good place to start! 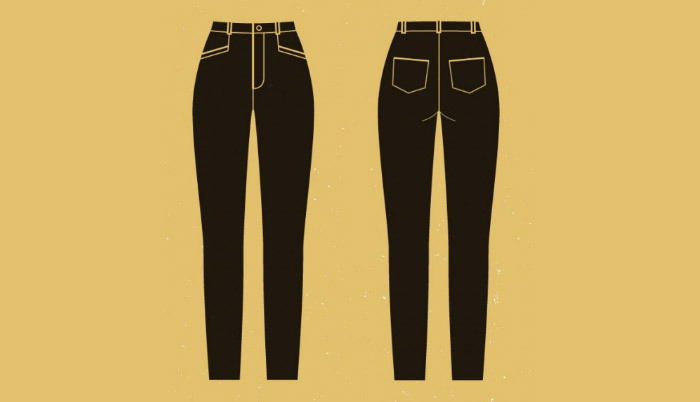 True, these are a good route in to full-on jeans! These look awesome! 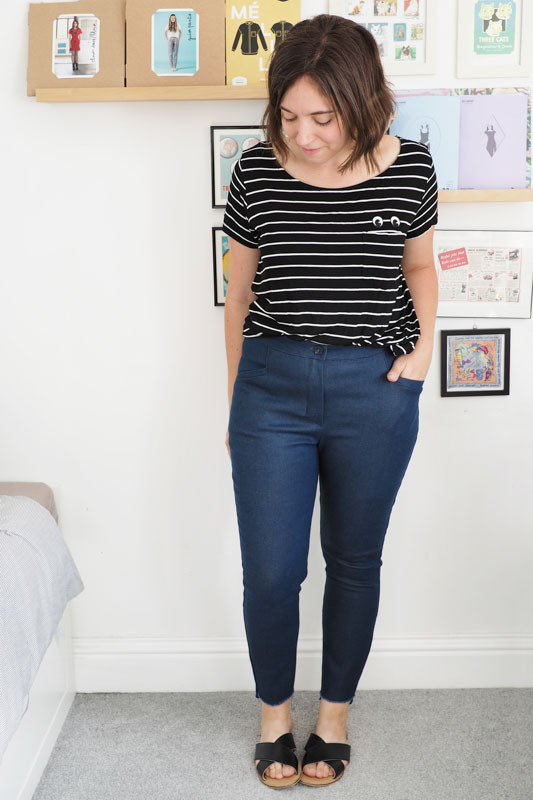 I love the idea of slightly more minimalist jeans (or skinny trousers), I’ll need to look into getting this pattern. Thanks for the tip on the pocket bags, I would have completely overlooked that! Also, your teeshirt is amazing, did you make it? Sadly not, but I did iron-on the googly eyes patches myself! I love the eyes, they make it amazing. These look awesome!! I haven’t sewn a Deer & Doe pattern before, but this one is going on the “want!” list, for sure! I’ve never tried jeans. These look really great! Well done. These look really great on you Katie, I’m looking forward to giving them a whirl now! 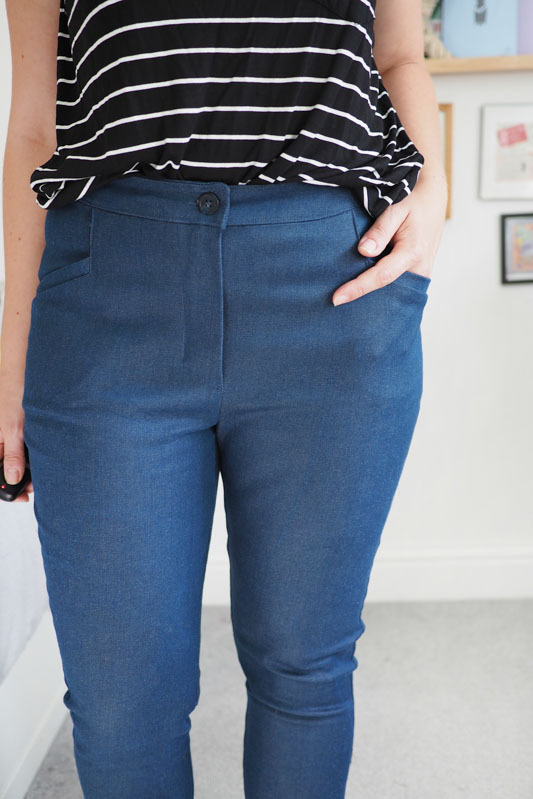 Love the tip to cut your pocket fabric on the bias for stretch pants like these, thanks! These are fantastic Katie! I think they fit you perfectly, and I really would’t mess around with them too much! I’m excited to get my hands on this pattern! 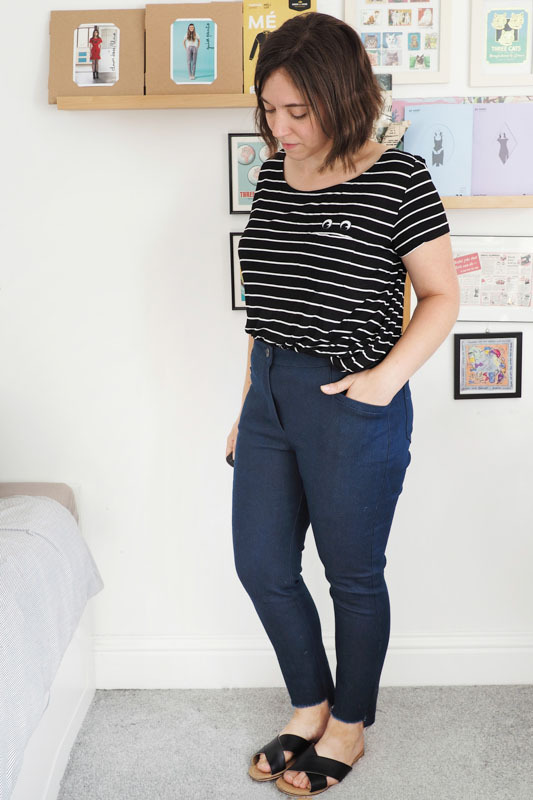 What’s your favourite jeans pattern so far? Or can you choose a favourite? I think it’s probably still the high waist Gingers! Thanks again! Looking forward to making them!